Instagram posts including at least one hashtag generates at least 12.6% more engagement than those without. Did you know that? That means you need to familiarize yourself with the most popular Instagram hashtags this year. For a lot of digital marketers in this day and age, marketing on Instagram isn’t a foreign concept. And because of that, we all know how much power a hashtag holds. Yes, those pounds/number signs before a word are capable of skyrocketing your posts into infinity and beyond (#ToyStory). 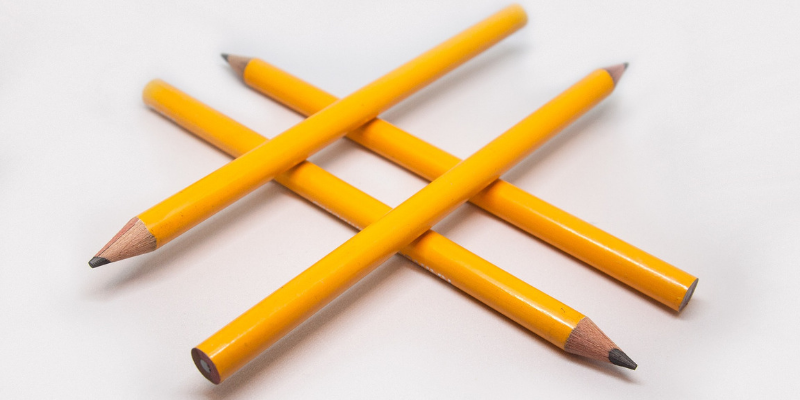 Hashtags help you reach the right target audience. They also attract new followers to your business, increase engagement, and help you develop a better image for your brand — raising awareness simultaneously. Here’s the catch though: use them too frequently and mindlessly, and these hashtags become as useless as posts that don’t have hashtags. Can we all take a moment to appreciate how much effort Instagram puts to keep their platform clean? Recently they’ve been cleaning up fake accounts. And they’re constantly personalizing content experiences for all of the users — both brand and private individual. Hashtags are included on the list of things Instagram has to keep that squeaky clean platform. Hashtags are a means of properly tagging its users interested in a specific topic or a specific person. This is to help us find what we’re looking for easily. There are around 95 million photos posted on Instagram with each passing day. Without an efficient sorting system like hashtags, it would be difficult to deliver the right content to the right people. For this reason, there is a call for social media marketers to tag their posts properly. You need to use hashtags strategically, or else you end up with a bunch of inefficient and pointless string of semantic words. For instance: #delicious #yummy #mmsuperyummy #yummyflavors #delishdishes. Use hashtags that are relevant to your discussion, photo, topic, etc. And yes, relevant Instagram hashtags are crucial, but so are the most popular Instagram hashtags. Fortunately for us, the most popular Instagram hashtags are general enough that they can be used for most of the topics. Not convinced? Consider this. When a post’s reach is high, the piece of content naturally gets more likes. In turn, you have a greater chance of increasing the number of followers who tag that content. Just one thing to remember. These 10 most popular Instagram hashtags (from Metricool) are pretty generic. Adding them to your posts doesn’t guarantee more interaction. They’re literally being used by millions of Instagram users. But then again, that’s why we mentioned strategizing your Instagram hashtags, didn’t we? Instagram photo galleries are built around positive feelings. And if there’s any other feeling more positive than #love, do let me know. But that’s why the hashtag is ever present next to pictures that conjure feelings of warmth (like family, friends, breathtaking scenery, partners, etc). The hashtag began with @instagood Instagram account. This user scoured the Instagram community for exceptional visual content that are just far too good to pass up. It had to be shared. Consequently, if you’re after the reposts, you can add this hashtag for a chance. The third most popular Instagram hashtag is efficient if you’re someone with a business account. This works especially well when you post daily content that centralizes around a particular theme. For starters, the fashion industry fits so naturally with because of Instagram’s visual platform. And honestly, who doesn’t like to share such a put together outfit of the day? Everything from beautiful scenery to people’s beautiful faces. Or if you’re a brand looking to promote your products or services, you can find a way to post something related to #beautiful. The best part is, there’s beauty in a lot of things. It’s a shame to let them pass. The one thing everybody truly has in life is their own pursuit of happiness. People believe that whatever makes you happy, and as long as you’re not hurting anyone, then you do you. And apparently that line of thinking has gained a lot traction on Instagram lately. But, of course, who wouldn’t want to be happy? Apparently, startup brands aren’t the only one struggling to get likes on a platform like Instagram. Everybody wants them too. And isn’t that true? I’m honestly not surprised why this #like4like was trending. Used strategically, this hashtag can get your likes up. This hashtag is honestly synonymous to the third one on this list. Much like love and happiness, art somewhat belongs in the same pool. Anything that’s classified as art gets this hashtag. From actual art to tastefully arranged flower stems. It’s really how you strategize with these hashtags. Even your video marketing can be art form for all you know. As expected, photography is big on a social media platform like Instagram — where tasteful images and stimulating visuals are exalted. #Cute: For a spot on the Instagram pool filled with loud “awwwww”s. #Me: In other words, it’s a selfie hashtag. #TBT: TBT stands for Throwback Thursday. This involves posting old photos of yourself, or events you’d like to reminisce over. It’s actually a good idea for posting photos of a previous company event you want to remind people of. #Instamood: It’s all about the vibe a photo or video elicits. The most popular starting points are landscapes. The world’s most popular Instagram hashtags are pretty generic. But that’s why narrowing down your hashtags and choosing wisely is a huge part of your marketing strategy. Instagram is here to stay. It’s not going anywhere, and it’s not a fad that’s about to die down anytime soon. Need I mention every brand that’s marketing their wares on the platform? After proving its potential to the marketing world, Instagram has become one of the best places for brands to put their products or services forward. If you’re eager to learn more about how Instagram can help your brand, you’re quite fortunate. Because Scoopfed has plenty. Just keep browsing.